This article will cover how to create your first search instance and place it on your page, sidebar or theme. By clicking on the newly visible Ajax Search Pro menu item on your backend, you will be redirected to a page with a form visible. There you can create your first search instance. 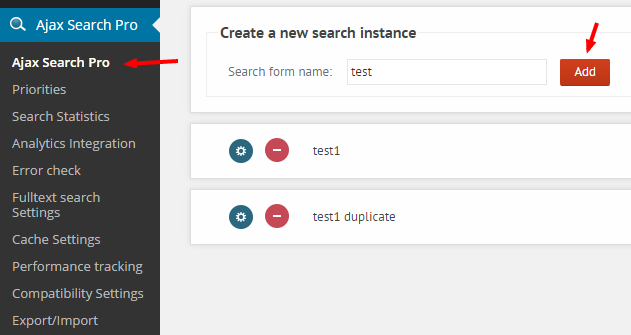 After creating your first search instance, it's already ready to use - but of course you can customize it to your liking.